Photomath is probably the best app for solving mathematical problems. It uses augmented reality, which means that you can simply point your camera at any piece of paper with an equation or an arithmetic problem and it will find a solution. PhotoMath is a really unique tool that is sure to become very popular amongst students, parents, and even teachers to tackle math problems. The app is fairly simple to use. First, you snap a picture of a math problem from your textbook or from a practice test. The app analyzes the picture and displays a step-by-step solution to the problem. 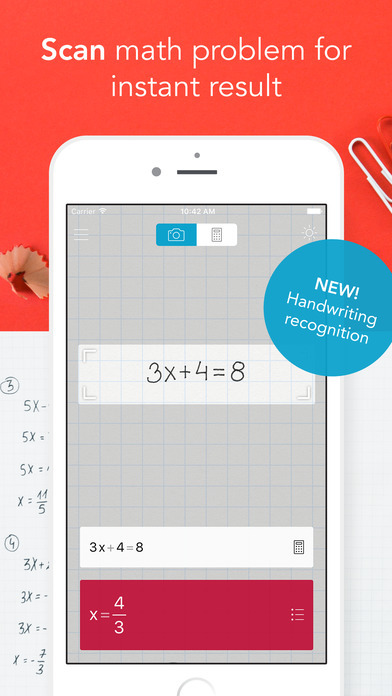 The purpose of using PhotoMath is to sharpen your math skills before taking a test. 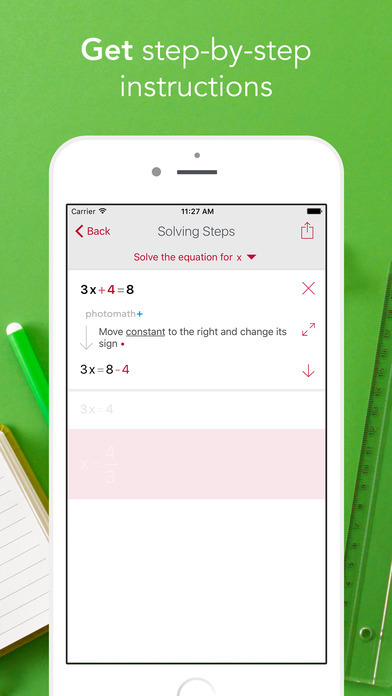 It tries to make math easy and simple by educating users on how to solve problems. 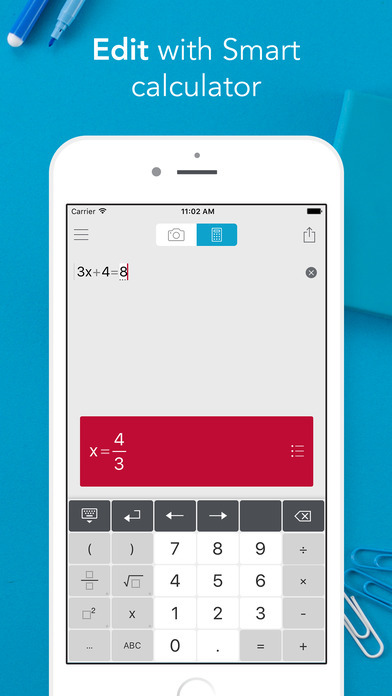 Photomath supports many of the basic math processes students must tackle in learning to solve equations. These include fractions, decimal numbers, linear equations, equation systems and logarithms. You can also attempt more complex problems like solving integrals, trigonometry and derivatives. But so far the app only shows an answer without detailed solving steps. Photomath supports arithmetics, integers, fractions, decimal numbers, roots, algebraic expressions, linear equations/inequations, quadratic equations/inequations, absolute equations/inequations, systems of equations, logarithms, trigonometry, exponential and logarithmic functions, derivatives and integrals.